My name is Mats and I have constructed The Bridge. For more than 35 years I have collected the material included in this site. 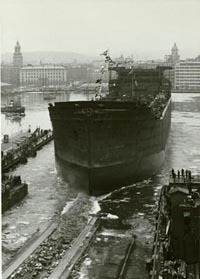 I grew up on Hisingen outside Göteborg in Sweden and with the harbour and shipyards at close range I developed an early interest in shipping. It was probably ramblings in the by these days vigorous inner harbour and watching launchings at the Götaverken that caught my interest. However, I have never had any professional ties with the shipping industry. Even the ships in the harbour were paid a visit by me. At one such occasion I nearly toppled from a swinging gangway. With one leg in the safety net and one still on the quay, I was hauled back on firm ground by an angry stevedore. 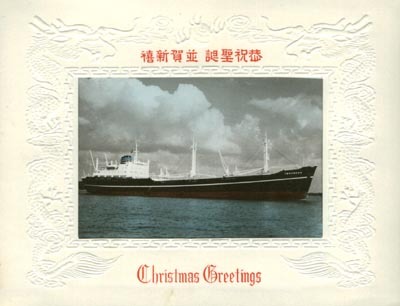 But of course it was worth the risk when you see the beautiful Christmas Greetings card below from M/S Tönsberg. It continued like that for a couple of years until other interests prevailed. At the beginning of the 1980s the collection was brought up from the basement again and the collecting picked up again. At the moment I have about 1500 picture cards in my collection, cards that I have begged from shipping companies, traded from other collectors or bought at antiquarians, fairs etc. I have tried to concentrate on postcards issued by ship-owners or shipyards. In addition to this I collect postcards used on board, postmarked with a greeting from a crewmate, often pictures made by photographers working in the harbour. Commercial postcards or cards produced by publishing houses aimed directly at collectors are as a rule of no interest to me. There has to be a connection to the ship itself if a picture will be of interest to me. In some instances it might be hard to know the origin of a card, especially pictures of ferries may be hard to trace, so once in a while a stray card might steal in into the main category. In 1908, Transatlantic issued a series of picture postcards of their modern cargo-steamers. To my knowledge this is the first series of postcards that any shipping company put to print. 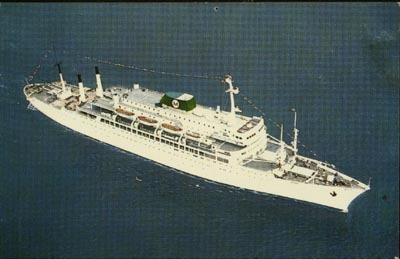 There are of course a few older pictures, most often of passenger ships, but these cards are of a more sporadic production. 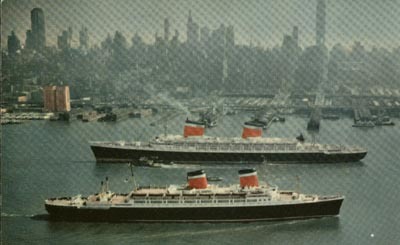 During the 1930s it became more common for the shipping companies to create picture cards of their ships. At the head of the list they made cards of all the merchant vessels that allowed a limited number of passengers. 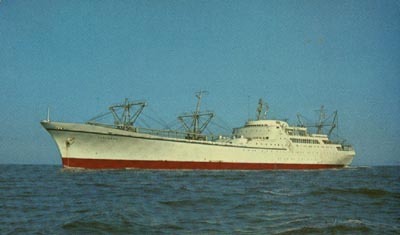 During the heydays of Swedish shipping, in the 1950s and 1960s, nearly all companies printed postcards of their ships. 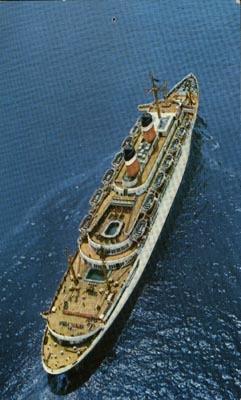 Even some of the shipyards issued postcards of the ships they had built. This pleasant tradition decreased with the increasing crisis in shipping at the latter part of the 20th century. Today ferry carriers and a few cargo carriers keep up this tradition. Wallenius is the pleasant exception that still makes postcards of their car-freighters. The Webmaster at work making preparations for this site. 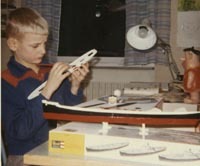 The hull is ready and the bridge is under construction. It will however take another 35 years before The Bridge is ready. 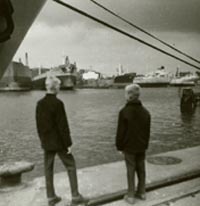 of research in the harbour of Göteborg. 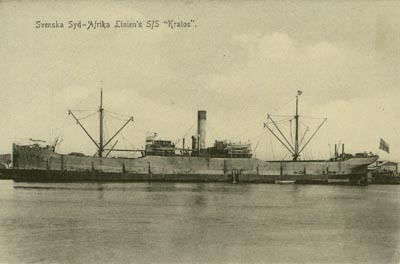 One of the first picture cards issued by a swedish shipping company.